Item # 308832 Stash Points: 6,995 (?) This is the number of points you get in The Zumiez Stash for purchasing this item. Stash points are redeemable for exclusive rewards only available to Zumiez Stash members. To redeem your points check out the rewards catalog on thestash.zumiez.com. 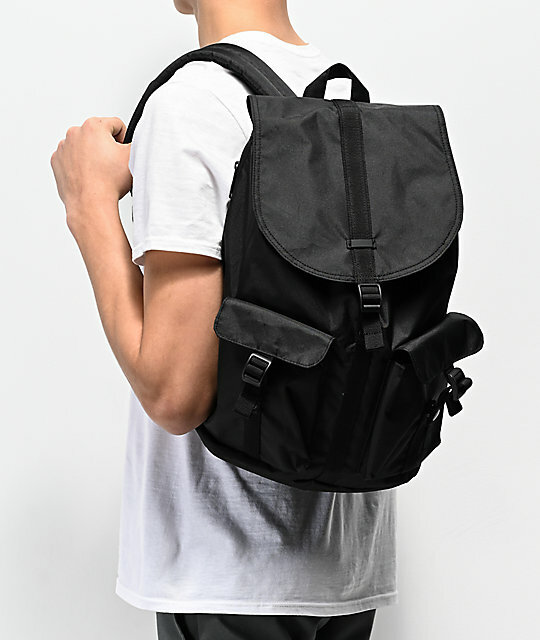 Keep all your daily needs at arms reach in clean and convenient fashion, with the Herschel Supply Co. Dawson Classic Black Backpack. 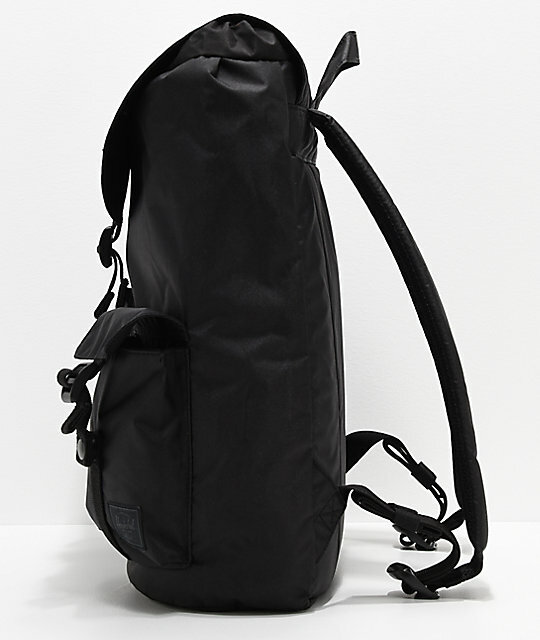 Constructed in all-black, this bag features a large main compartment with dual plastic clip closure for maximized and safe storage, accompanied by two front pouch pockets with hook and loop closure for even more room. 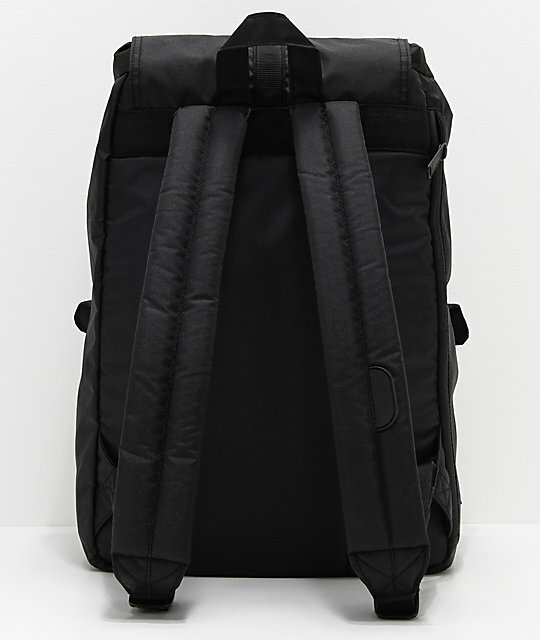 Finished with a 13" laptop sleeve and Herschel's classic red striped interior lining, this backpack is a daily necessity for any work or school commute. 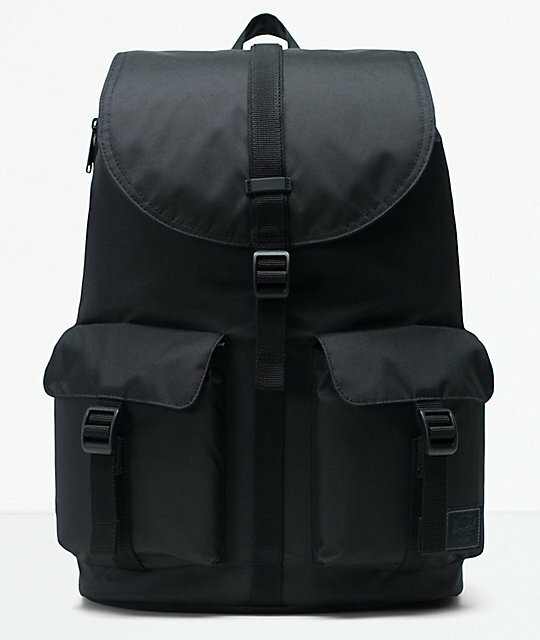 Dawson Classic Black Backpack from Herschel Supply Co.
All-black with black strap and black plastic clip closure. Additional zip closure side entry. Two front pouch pockets with plastic clip closure. Adjustable ergonomic air mesh padded shoulder straps. Signature Herschel striped interior fabric liner. Brand woven label on lower front. 13" (38cm) padded & fleece-lined internal laptop sleeve. Dimensions: 17" H x 12" L x 6" D | 43 x 30 x 15cm.